Do you know where I can find example code for decoding a MP3 file to PCM for Android? Do you support FLAC format? Is BIFS decoding for mp4 available? Is it possible to merge two .ogg audio file? 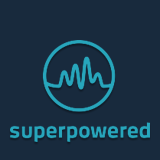 Is there a different version of Superpowered SDK / codecs that support Dolby 5.1 channel audio format?